Vol. 47 is currently in stores. Each new volume is available by December 1, March 1, June 1 or September 1. ($13). See notes from Editor for price schedule for past issues. 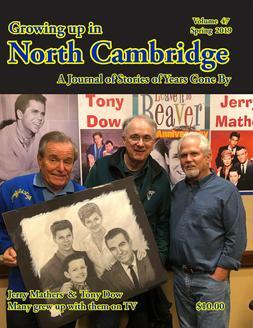 If you grew up in North Cambridge, MA or visited there, your original, uplifting stories and photos about childhood years may be submitted for consideration. "When you're a child you see things that adults don't see; you see hiding places under porches, empty lots behind houses, and climbable trees." Be sure to include which volume(s) you want in the "Message" section of your Paypal payment.